Mr. Zhang (40 years old) is currently working at Xi Guan Primary School, Shaanxi Province, China. Each morning, he will instruct 700 students in the school to gather at the playground area and join a group dance. The dance instructed by Mr. Zhang belongs to contemporary jazz genre with a combination of heel, toe and hand movements. 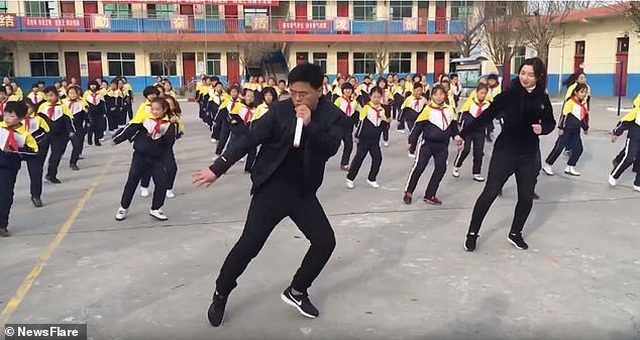 After the video returned to Mr. Zhang's "dance class" shared online, the principal became a phenomenon for the Chinese online community. Principal Zhang Pengfei instructs students to dance extraordinarily! Although he became a "celebrity", Mr. Zhang was still humble to share his desire that this morning's dance practice will help students become more active and have more fun and energy. because "stick to the phone". 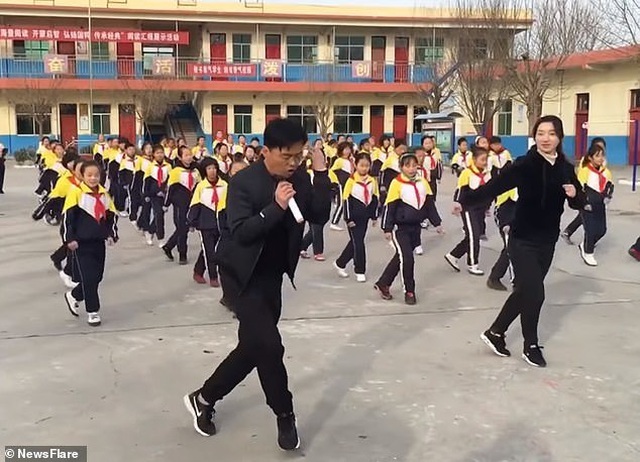 A few months after being known by the online community, at Mr. Zhang's school, this dance lesson has now replaced the compulsory mid-hour exercise program at the central and elementary schools. National application since 1951. Under this rule, short exercise includes stretching, jumping and flexing exercises under the guidance of teachers to develop flexible and flexible strength and body for students. .
Zhang wishes to instill a spirit of interest in physical activity for students. Mr. Zhang expressed his view: "I think we need to change because students are no longer interested in doing these exercises." It is known that he happened to see a group of people performing exciting dances at a shopping center in the summer of 2018. Immediately, the principal felt that the dance was extremely suitable for children. The energetic music melody will bring you joyful emotions. Mr. Zhang took 3 months to practice the dance before starting to introduce to the students in October 2018. After that, even some teachers and school staff participated. Mr. Zhang always holds the microphone to cheer the students. 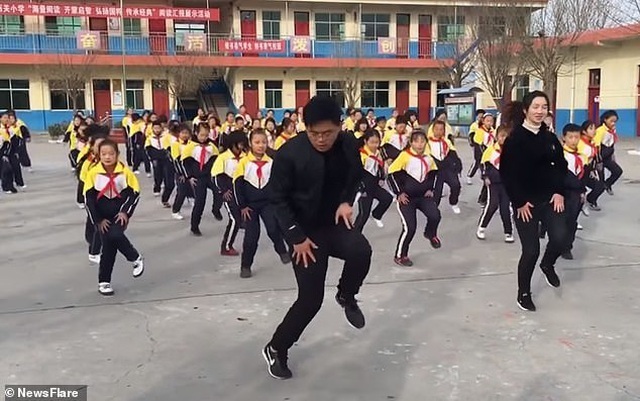 The principal and Xi Guan Primary School students stormed the Chinese social network with their dance. In the shared videos, Mr. Zhang and his students performed extremely uniform movements. The video quickly "storms" on Chinese social networks. A page of Weibo about this content has attracted 250 million views. One user commented, "This is the coolest principal! I wish I had learned a teacher. “It is interesting to see so much energy. The teacher is wonderful! ”, Another person wrote. Keywords: China: How did the principal guide the whole school to dance every day?